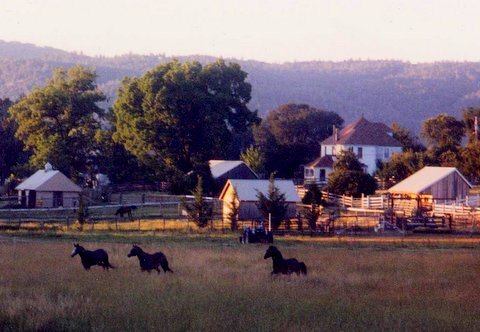 Oak Tree Farms is an historic horse boarding facility in the Sierra Nevada Foothills. We are committed to providing excellent horse boarding, riding lessons, and training services. Located in Penn Valley, CA, Oak Tree Farms provides a place for your horse to live above the fog and below the snow, with access to miles of trails just waiting to be ridden! The 40 acre property is beautiful in all seasons and is maintained by owner and manager, Pete Brennan. Check out our pictures of the property and contact Pete to arrange a visit!